Roadmapping can be a difficult process to manage as product managers try to keep up with changing marketplace needs and efficiently develop products in shorter developmental cycles. Meeting customer needs and managing the product roadmap often create conflicting priorities. The situation is amplified even further when more product lines are added to the mix. 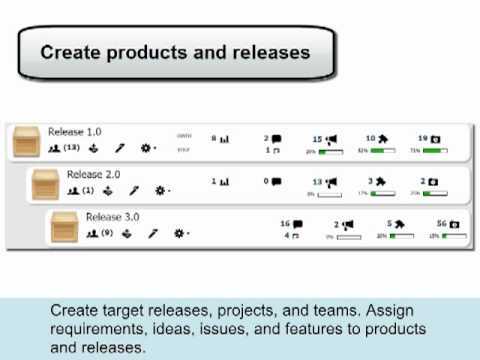 Now, you have to deal with more product gaps, more releases, more features and longer implementation plans. In addition, most product professionals do not have the right roadmapping tools to facilitate product management. Product roadmapping tools provide an overall view of projects and help outline any upcoming product releases for a specific timeframe. These tools also can also be used to visually lay out product schedules and develop a realistic product roadmap with the active input and close collaboration of many individuals from different departments and across functions. OneDesk features powerful roadmapping tools that help you achieve alignment across the organization.